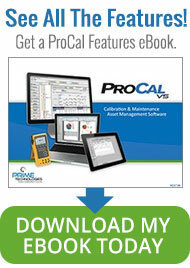 ProCalV5 calibration software outpaces the competition with feature rich functionality and options. Scrutinizing quality compliance experts are careful to select solutions that deliver expected beneficial results. We claim many Industry firsts and we continue to set new industry standards that other programs struggle to emulate. Most high level asset management solutions (ERP, CMMS, etc.) lack the detail needed to adequately manage instrument calibration activities. End user productivity is typically compromised. ProCalV5 calibration software offers critical features that facilitate maximum efficiency and high outcome results. Read what others have to say about ProCalV5 by clicking here. 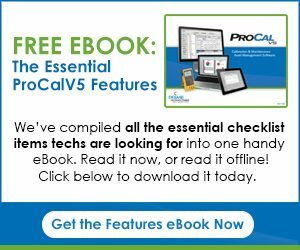 View the highlights below to see many of the features/benefits of using ProCalv5 software. Authorized users can change field labels and add an unlimited number of user defined fields. Establish separate records to manage test standards. Test standards can be controlled for use with only specific instrument types with easy reverse traceability reporting. Performs all math functions and data verification – no human errors. Calculations can accommodate varying accuracy statements or combinations (% of reading, range, +/- , manual). Signal associations can be linear, square root or manual. Templates can be established, records can be copied, global change features allow groups of records to be modified at the same time. Verifies in-tolerance conditions upon as-found, as-left data entry. Can be configured to allow automatic notification for non-compliance events. Specific test routines are available for more complex systems, devices and equipment. More can be created to your exact specifications. Too many more features to mention! Over 80 standard reports and powerful advanced queries provide authorized users with immediate retrieval of organized information. ProCal eView allows personnel secure web access to remotely launch reports. Click here to view more information on reporting and sample reports. Among our industry 1sts is 21 CFR Part 11 compliant, Mobile Workstation technology. Sophisticated import/export features effectively manage electronic work assignment and data transfer. Off-line users have access to the full program interface on a local machine. Significant productivity and quality compliance benefits are guaranteed. 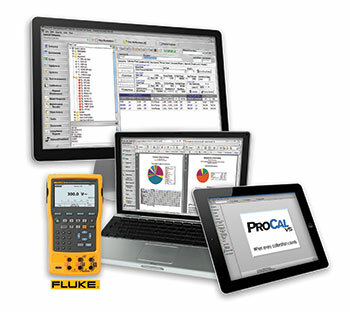 ProCalV5 software and mobile workstations also communicate with documenting process calibrators. Read more on paperless calibrations. ProCal was the first commercial 21 CFR Part 11 compliant calibration management solution. Prime Technologies’ strict quality development practices are routinely audited and approved by life sciences and other quality regulated companies. Each released version undergoes thorough, documented, internal testing and validation before release. IQ/OQ validation scripts and on-site validation services are provided as standard offerings.